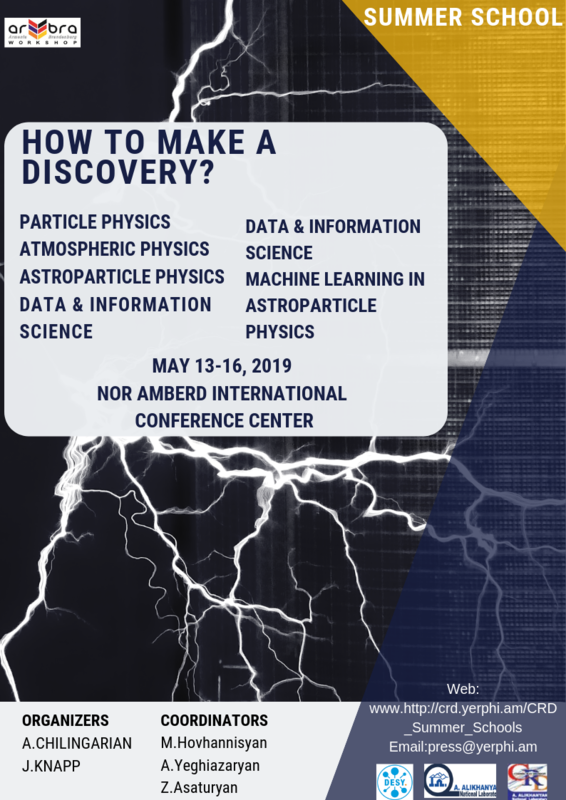 Yerevan Physics Institute together with German Electron Synchrotron “ DESY” are organizing an AR-BRA Summer School titled “ How to make a discovery” for university students. ♦How to Apply- Please fill the form ( click Registration Form For Students): Upon receiving your application, we will get in touch with you for further steps’ details. NOTE: The working language of the school is ENGLISH and Armenian, each applicant must go under a selection process, after which he/she can be selected to participate in this school. In the application form the applicant must state why he/she wants to participate in the school and what it will give him/her in the future. The number of participants is strongly limited. The school is cost free.